The name “Togryers Museum” or Transport Riders’ Museum originated from the huge influence that the transport riders had on the development of Ceres. The completion of Michell’s Pass in 1848 made the town accessible to wagons, and one of the main routes to the diamond fields went through Ceres. The visitor to the museum can learn more about the natural history of the area, the first inhabitants and their lifestyle, as well as the establishment of Ceres. 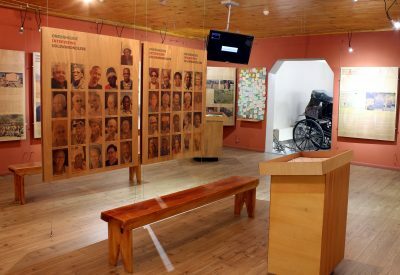 Other exhibits include photographs and articles of the destructive earthquake of 1969, a collection of wagons, information on local schools, churches, the Slave up rise at Houdenbek Farm and the forced removals during the 1960’s.